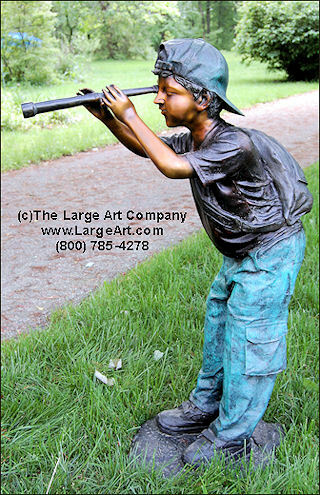 Boy With Telescope is a detailed bronze sculpture that measures 43" tall x 15" wide x 28" deep. It is available in a multi-colored or dark brown patina. This curious little boy will be at home in a number of different settings. Measurements: 43" tall by 15" wide and 28" deep.